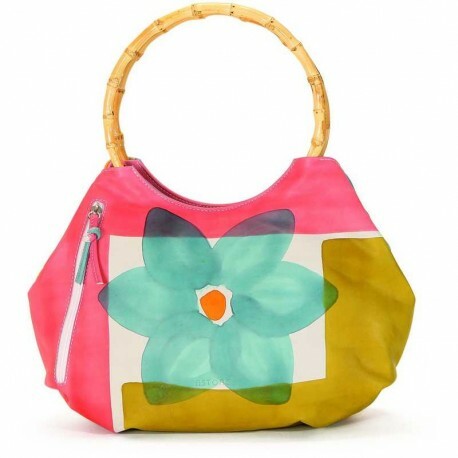 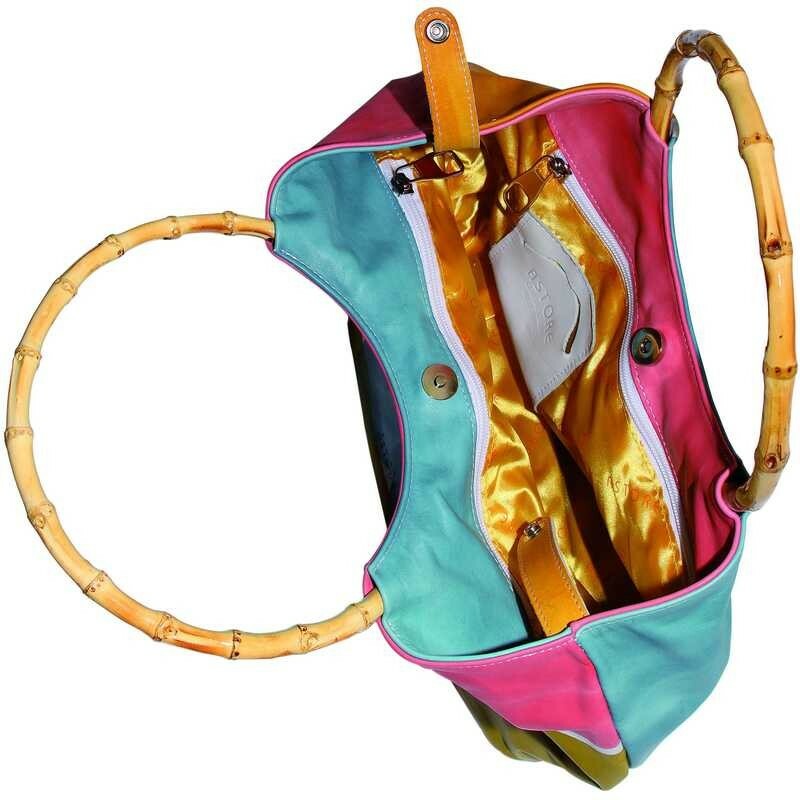 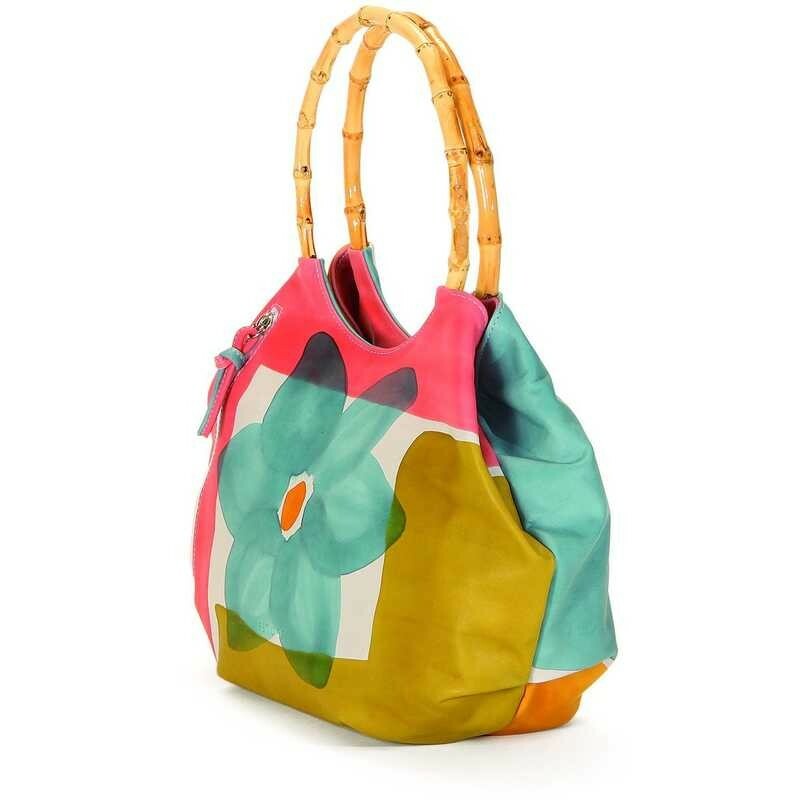 Natural leather handbag, handpainted, with bamboo handles, outside pocket and zip fastener. 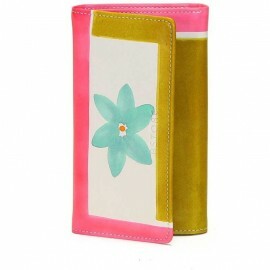 Ideal for free time and casual clothes, but also for more formal situations, it fits at any age. All Acquerello handbags can be purchased with matching shoes, wallet, belt and other accessories.